Ben 10 meets Specky Magee! 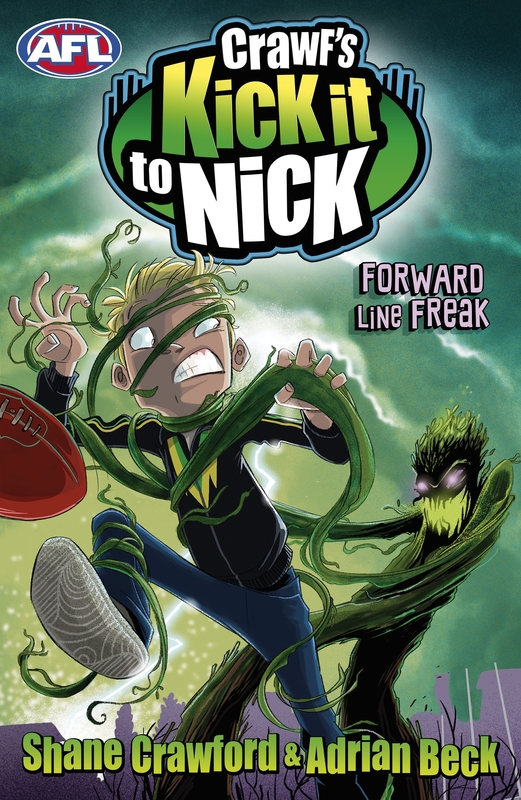 Kick it to Nick is fast-paced and action-filled series with all the fantastic footy action you'd expect from Shane Crawford. Book two in an eight book series. Nick has been named the captain of the Cobar Creek Crocs. It's a dream come true, but the pressure is intense. He needs to get his team to work together, but they think he's a power-hungry monster. Only Nick's friends know that he's also turning into a real-life monster – and maybe he's not the only one. Can they find out what's causing it all before it's too late to change Nick back? 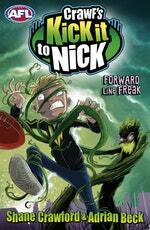 Love Crawf's Kick it to Nick: Forward Line Freak? Subscribe to Read More to find out about similar books.